As concerned citizens around the world, we call on you to act immediately to end the war on Colombia's Amazon rainforest. 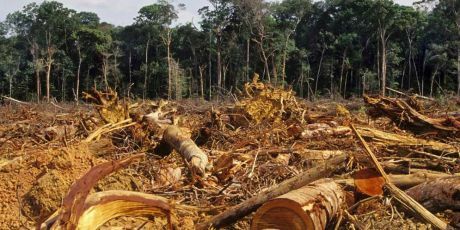 New evidence reveals that criminal groups are plundering the Amazon at an alarming rate. We urge you to launch a criminal investigation into this deforestation, to allocate additional funds for schemes to protect the rainforest, and to pass and enforce the legislation that is necessary to protect Colombia's precious natural resources. Colombia's Amazon has become a wild west for environmental destruction -- criminal loggers and coca growers are swarming in and destroying everything in their path! The government insists there's only small scale deforestation. But Avaaz members just paid for stunning satellite image research that shows it's actually *worse than ever*. With elections looming, this is the moment to shoot this investigation to the top of the political agenda and make it a massive story in the national press. When a million of us join, Avaaz will demand presidential candidates take a pledge to protect the Amazon and stop deforestation!